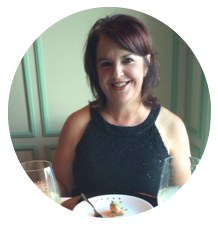 Carol has been at the forefront of Nelson wedding and event catering for the past ten years, starting off Gourmet Catering in April 2003. After purchasing the Grape Escape Cafe in April 2009, Gourmet Catering became The Grape Escape Cafe & Catering. After three years of working in partnership, Carol sold her share of The Grape Escape in March 2012 and after taking a year off, she still has the passion for food and catering – so has started wedding and event catering in Nelson again.